Produces its technology at laboratories equipped with necessary technology since the company acknowledges that focusing on research and development activities will bring along success. Carries on R&D activities, production process and all other activities up to the international standards. Considers environment and health as guiding concepts of product design; develops solvent free, water based and environment friendly products with low VOC value, high solids by minimizing solvent release to the atmosphere. Tries to use natural resources and minimize wastes at any stage of production process. Transforms special product preferences into painting systems that will optimize life time / benefits / maintenance period for the customers thank to knowledge and experience of the project team. Prepares specifications based on any job and conditions as a solution partner and guides operations with certified technical service personnel. As a paint manufacturer specialized in PROTECTIVE COATINGS and ALL PURPOSE INDUSTRIAL PAINTS in its region of operation, KANAT will continue to protect the future and our investments. Since 1986, Kanat Boya has been active. Since its foundation, Kanat Boya carry on their works with sustainable future, innovation, creativity and solution partner notions. General Industrial Coatings has provided satisfy customer expectations by large product range. Kanat Boya knows that services and supports are important as their products. Protective Coatings has generated at customer’s needed that very different featuring paint and coating period. Kanat Boya has enough knowledge and large product range for discoverable needs while period of change at sector. Factory entered into service at Osmaniye Organize Sanayi Bolgesi, by year 2016. 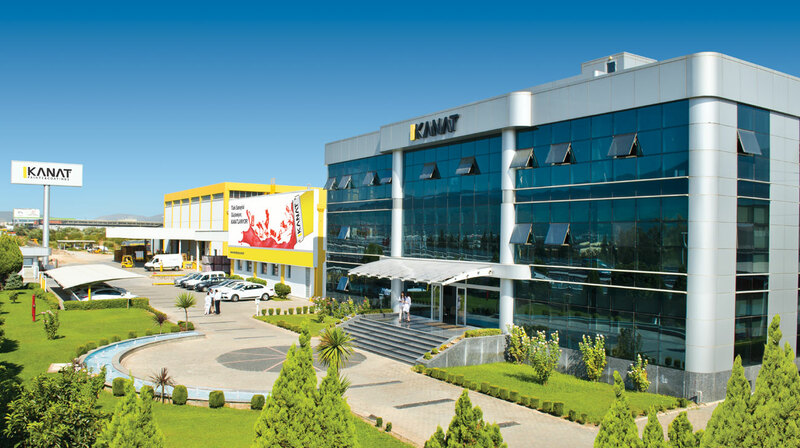 The Factory of Kanat Paints has putting technology, technical service and logistic possibility into service with benefits of a special area for customers at Osmaniye Organized Industrial Site.